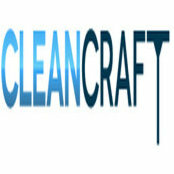 CleanCraft is among the leading companies of Australia that provide various cleaning solutions for your office space. Our reliable services include Commercial Office Cleaning, End of Lease Cleaning, One-Off Spring Cleaning & Window and Carpet Cleaning. At CleanCraft, We believe in quality in everything we do that is why we have earned the respect of all our customers associated with us over years. CleanCraft provides reliable and quality cleaning services for various workplace and organizations. Contact CleanCraft for best and reliable spotless cleaning of your place from top to bottom.